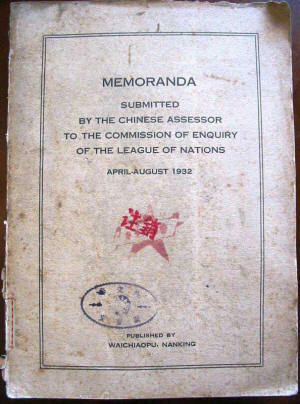 mission of Enquiry of the League of Nations, April-August, 1932. 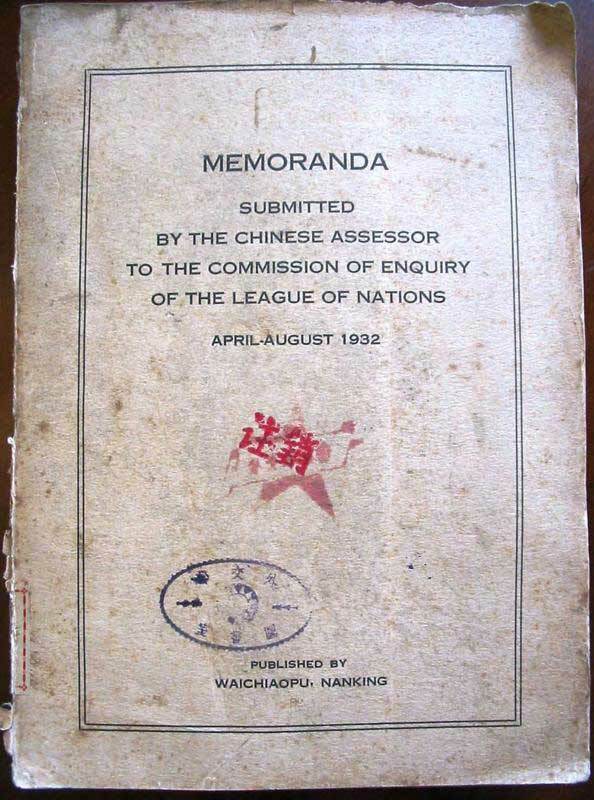 The information that I have about this Memoranda is that it is the original copy of the report the Chinese passed to the League of Nations concerning the Japanese invasion of Manchuria starting in October 1931. 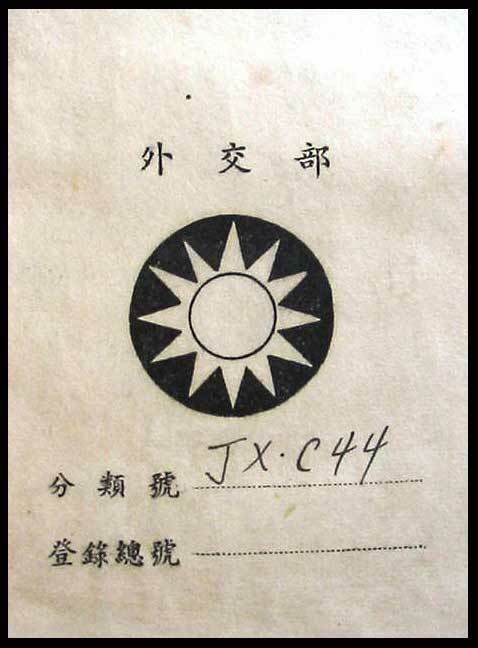 This copy was kept at the Nazi German Embassy in China, it later became the official copy of the Nationalist Government Foreign Ministry and remained in their library until 1949. 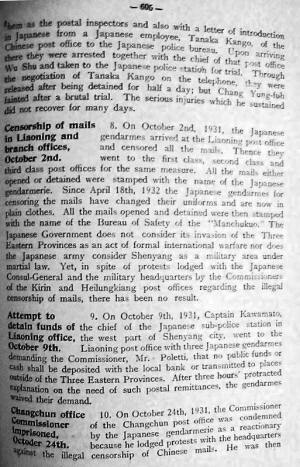 The document is now in the hands of a private collector who agreed to send me these photographs of pages relating to postal matters. 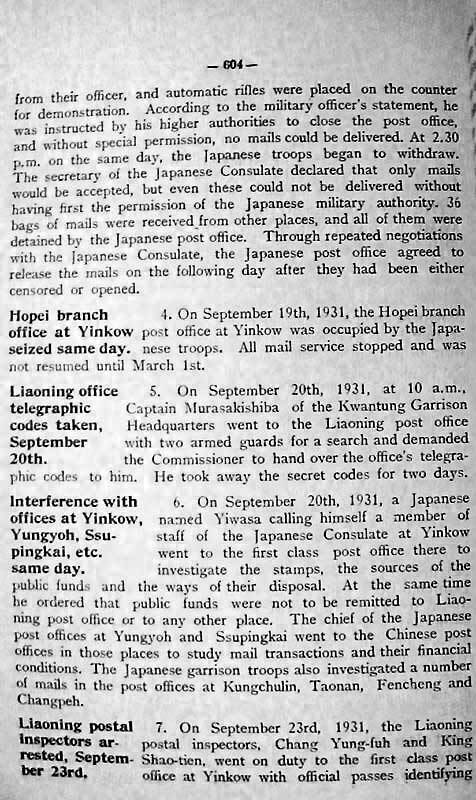 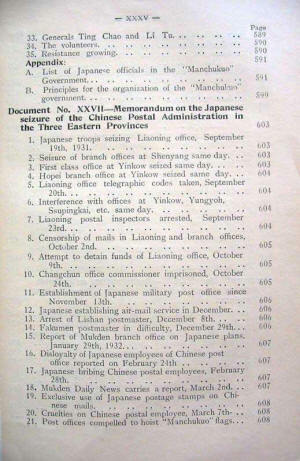 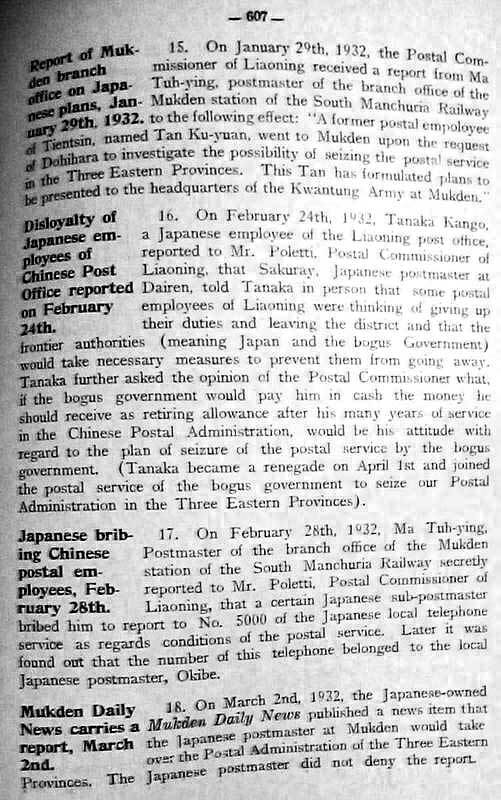 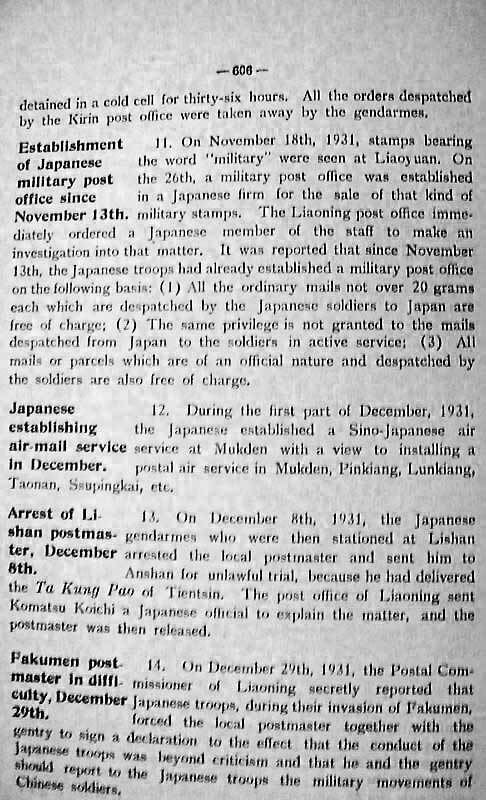 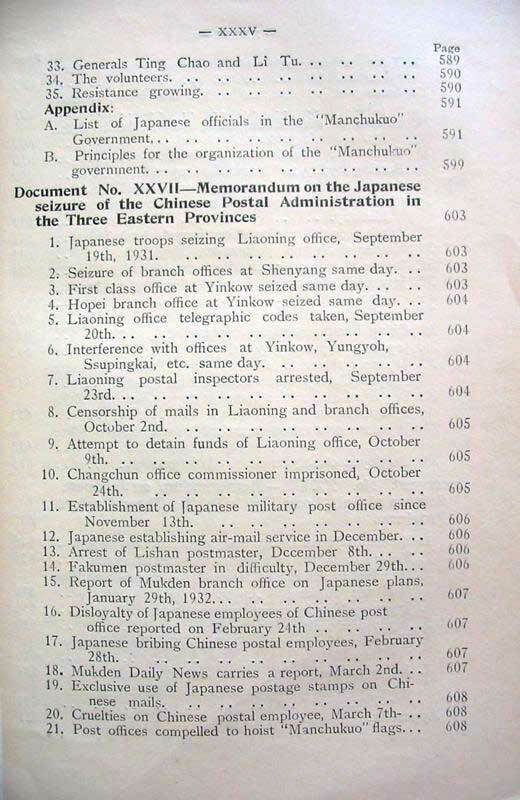 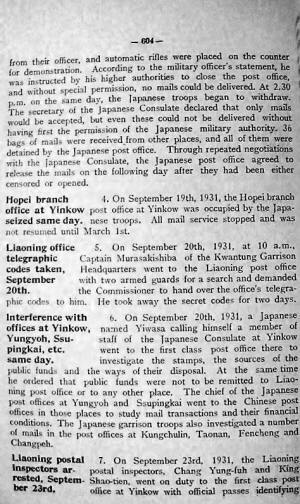 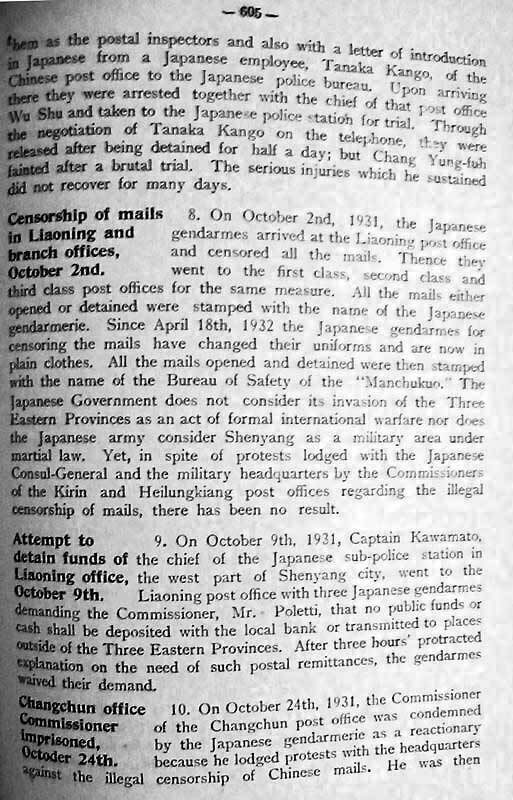 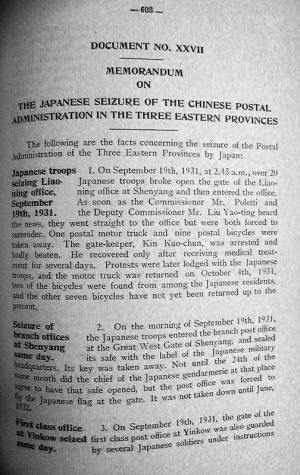 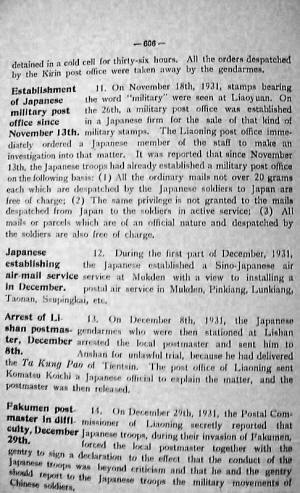 The Mukden Incident took place on 18th September 1931 and this document shows increasing harassment of the Chinese Post Offices in Manchuria from 19th September 1931 onwards. 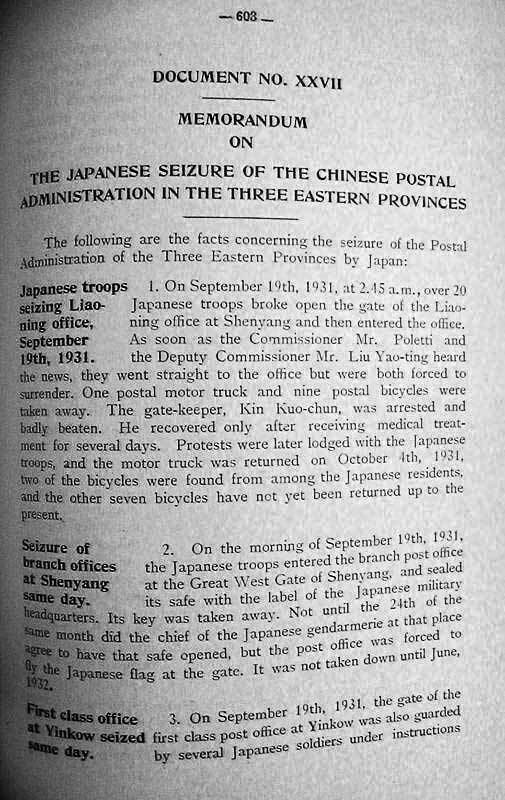 Click on any of these pictures to see a larger image. 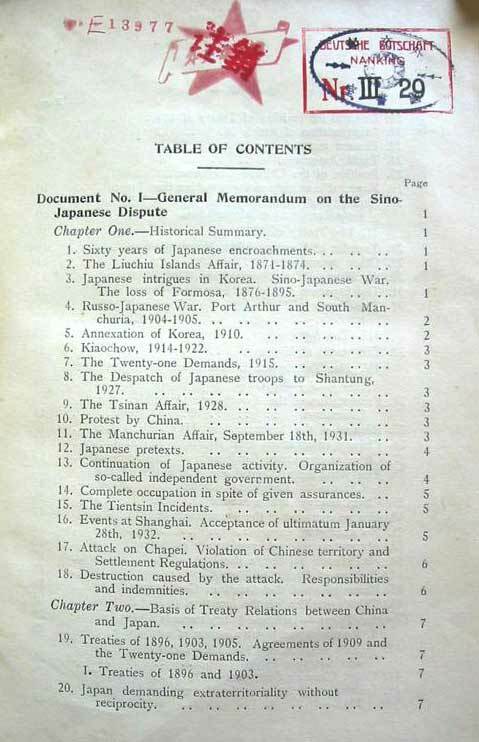 Above - Complete table of contents. 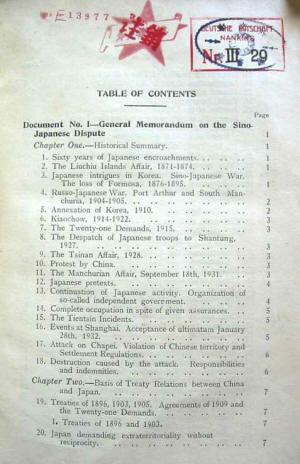 Please use the Back Button on your browser to return to the last page.